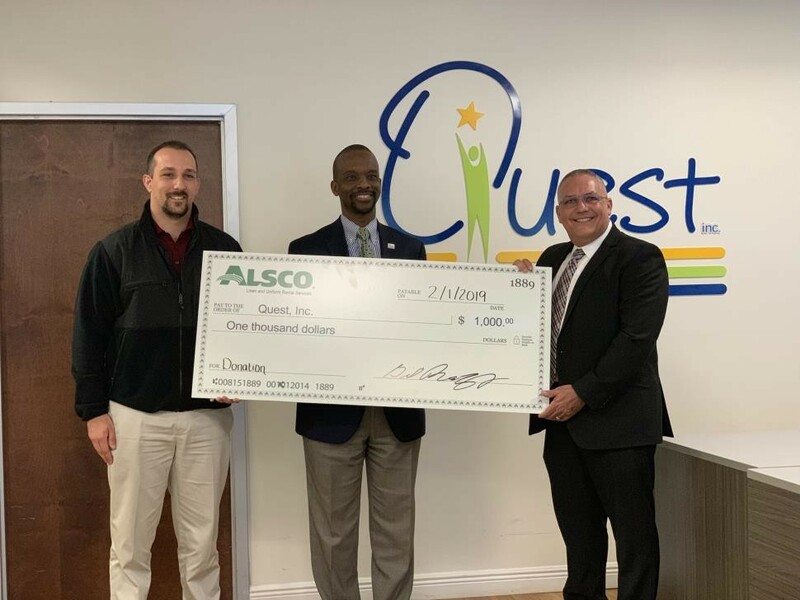 TAMPA, Fla., February 4, 2019	(Newswire.com) - In an effort to help those with developmental and intellectual disabilities have more opportunity for a full life, the Alsco Tampa branch recently made a donation to support Quest Inc. For over 50 years, Quest has supported central Floridians with developmental and intellectual disabilities by offering choices and opportunities to live, learn, work and play. ​Alsco is a fourth-generation family owned and operated business, founded in 1889, that was recognized by the prestigious Hohenstein Institute for having invented the linen and uniform rental industry. Celebrating 130 years of business, Alsco provides linen and workwear rental services to customers that include restaurants, healthcare, automotive industry and industrial facilities. With over 180 locations and more than 20,000 employees, Alsco provides world-class service to over 355,000 customers in 14 countries. Learn more at http://www.alsco.com. 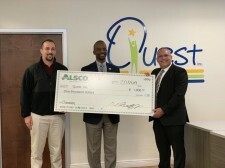 Alsco believes in giving back to the communities we serve through our Steiner Foundation. We also create internship opportunities, implement environmentally friendly processes and sponsor community-oriented events.